You may want to edit a service that you have saved as a draft or a published service that needs to be updated. 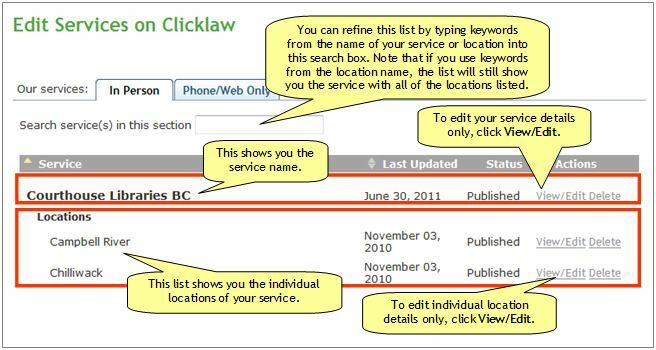 On the contributor site, in-person services are listed in a way that allows you to easily locate individual locations. Click “Edit services” on the contributor homepage or in the left menu bar of the contributor site. When you publish a service after making any changes, the status of all the locations associated with this service will be changed to "Published". 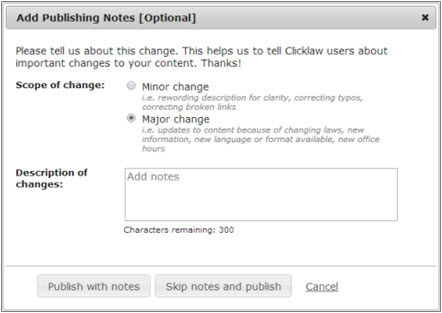 After you click Publish, the changes can take up to 15 minutes to appear on the website. This page was last edited on 27 August 2014, at 11:26.